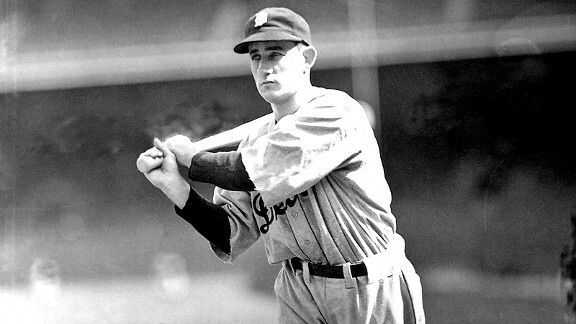 Pitcher Lefty Gomez, and many others, marveled at Gehringer's remarkable consistency: "Charlie Gehringer is in a rut. He hits .350 on Opening Day and stays there all season." Nicknamed the "Mechanical Man," Gehringer batted .300 13 times, scored 100 runs 12 times and collected 200 hits seven times. The longtime Tigers second baseman won the American League MVP award in 1937 when he batted .371.